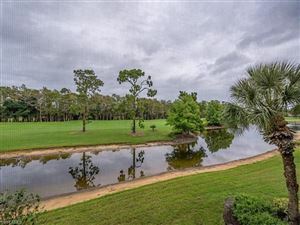 Andalucia is an intimate Mediterranean-inspired village of 167 homes surrounding Lake Azzuri and bordered by nature preserves. 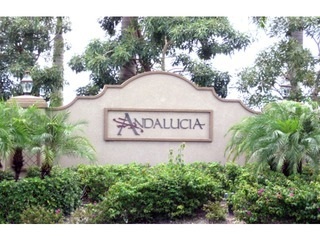 Andalucia is a private gated community featuring one and two-story single-familiy homes ranging from approximately 2,000 square feet to 3,400 square feet. Built by Taylor Morrison, home plans feature gourmet kitchens, open floor plans, quality interiors, eco-friendly features and luxurious master bedroom layouts. Residents enjoy a clubhouse with a spacious gathering room, game room and catering kitchen for events, a community pool and spa, fitness center and play area. 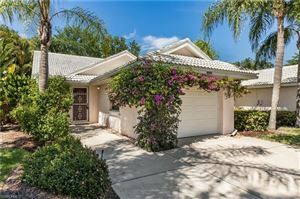 Located just off Pine Ridge Road in Naples, Andalucia is close to many local shopping centers, grocery stores and restaurants and is just a short drive to the Naples area's finest beaches. Schools nearby include Osceola Elementary School, Pine Ridge Middle School and Barron Collier High School, all three of which received an "A" grade in their School Accountability Report from the Florida Department of Education.